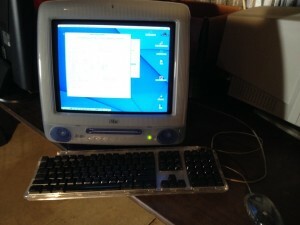 Not the very first iMac, but part of the original family of iMac systems that included a CRT display and transparent case. 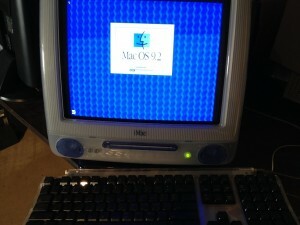 This unit features a 350MHz PowerPC processor, 64 MB RAM, 7 GIG hard drive, and runs MacOS 9.2. It is good working order and includes original Apple mouse and keyboard. Unit was introduced in the summer of 2000.